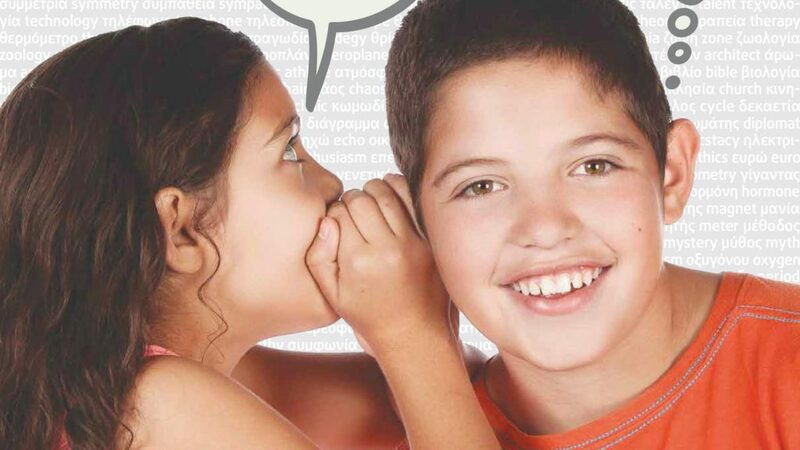 The Speak Greek in March (SGM) campaign was conceived in order to stimulate the Greek community, the school system and government to give greater priority to the speaking, learning and teaching of the Greek language. This initiative was started in 2015 by individuals and representatives of literary and cultural organisations within the Greek community. The organising committee’s policy is to encourage the various stakeholders to initiate, develop and implement activities, appropriate to their own fields of endeavour, which promote the Greek language. For example, schools that teach Greek may organise during March (as well as throughout the year) competitions, celebrations, debates, lectures and special projects related to the Greek language. “We believe that learning another language enhances one’s competence in their primary language. As language and culture are interrelated, retaining our mother tongue will strengthen our ability to maintain our cultural identity in multicultural Australia. It will also benefit Australia, as multilingualism in our globalised world is acknowledged to have cultural, educational and trade advantages,” Mr Mike Zafiropoulos AM, the convener of the SGM committee said. The retention of our language in the diaspora needs constant support, otherwise it runs the risk of succumbing to the pressures of globalisation and assimilation to the dominant culture and language. There are many reasons for this, including the prevalence of intermarriage and the preference and ease for children born in Australia to become monolingual, speaking only English, the lingua franca of our adopted country. “Furthermore, our school system, that teaches Greek as a second language, needs new ideas and the ongoing support of the community in order to make the learning of Greek attractive to our youth,” Mr Zafiropoulos continued. The committee chose March for the campaign for a number of reasons. March incorporates a plethora of Greek cultural activities, it is the beginning of the school year, and includes the celebration of Greek National Day and the Antipodes festival. Of course, choosing one month for the campaign is only a marketing technique, as the objective of the organising committee is to encourage and promote the speaking of Greek throughout the year. For the 2016 campaign, an exciting concept has been developed to ensure a heightened interest on a daily basis on the campaign’s goals. It has identified 31 themes, one for each day of the month. The themes vary from simple topics like ‘the alphabet’, ‘arithmetic’ and ‘grammar’ to ‘philosophy’, ‘politics’, ‘economics’, ‘the Olympics’ and ‘mythology’ to name just a few. All the themes chosen are English words, which have their origin in the Greek language. On its new website, the campaign will include the theme for each day with resources and links for parents, students and the general community. People with expertise in any of the themes are invited to contribute brief content in the form of text, pictures, video or sound for inclusion on the website. These themes have been strategically placed on specific days to reflect the historical significance or appropriateness of the theme. For example, the ‘history’ theme is on 25 March, Greek Independence Day; the ‘philosophy’ theme is on 7 March, the date of Aristotle’s death in 322BC and the ‘theatre’ theme is on 20 March, which is the International Theatre Day for Children.